The first finished part to come off the router lathe. 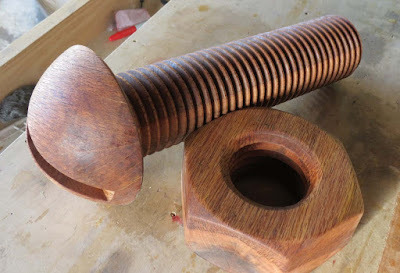 I figured when building a machine to cut big spirals and threads, what better test than to make a great big bolt and a nut to fit on it. 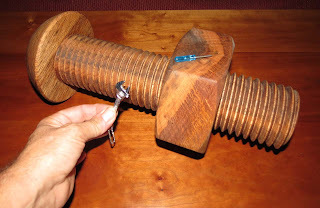 The entire bolt is about 17" long and 3.5" in diameter. The thread pitch is 2.5 threads per inch. The head and the nut are about 6.5" in diameter and the nut is 2.75" thick. 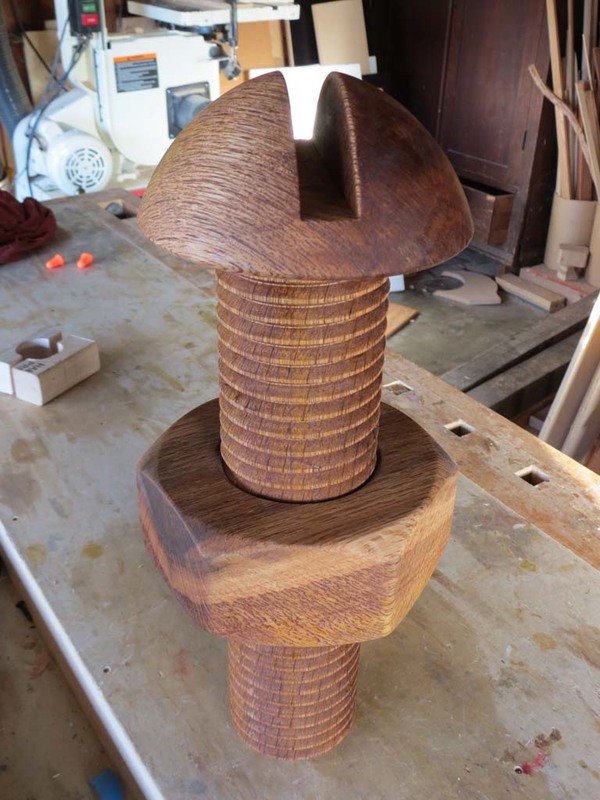 The original idea that started this project was to adapt a wood lathe to cut great big wood threads, both internal and external. And here they are. In that regard, I guess I'm finished. However, this project has presented a bunch of new exciting possibilities to explore. With wrench and screwdriver for scale. Nice Work! 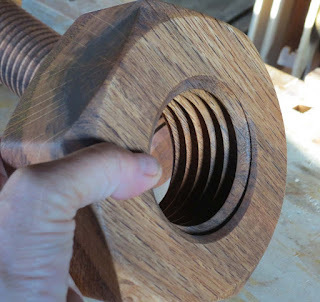 A while back I was looking into making a 2" nut. Great to see that it's more than possible. Excellent work! Do you have a video about rounding the bolt head? Sorry, no video. The bolt head was done the old-fashioned way by hand on a manual wood lathe. After it was turned, I made a fixture to hold it upside-down so I could cut the slot on the table saw, then glued it to the threaded shaft.